He doesn’t call. He doesn’t write. Joe Biden is feeling abandoned by his former bestie, Barack Obama, since the end of their administration. When a close friend is found dead on the train tracks, Amtrak Joe is compelled to follow up, especially when his name is among the dead man’s belongings. When his BFF finally shows up with pertinent info, Biden is on the case. 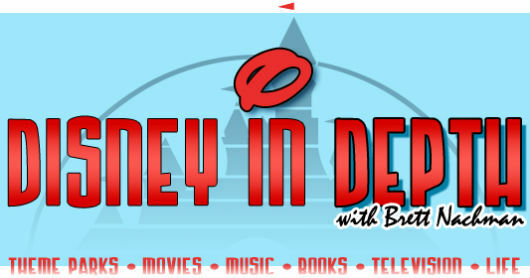 He, Obama, and Steve, the Secret Service guy, embark on a super fun adventure. However, can Joe Biden get past his flat-left hurt in order to trust the Former President of the United States once again? 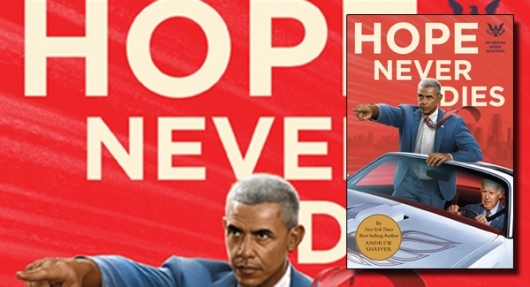 More below on Hope Never Dies: An Obama Biden Mystery by Andrew Schaffer. 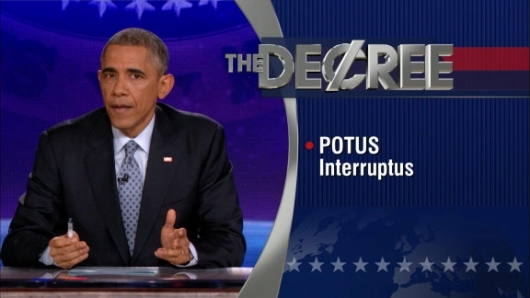 In the segment, Obama took on his “Obamacare” healthcare detractors, reading off the script as if he were Colbert, to humorous effect. 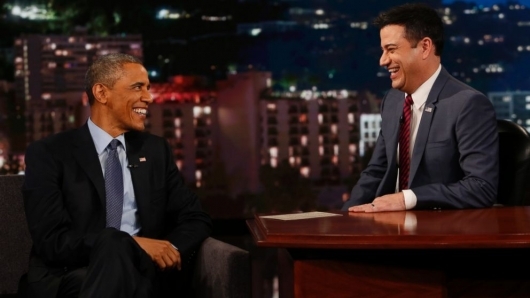 Watch the videos of Obama’s appearance on The Colbert Report here below. Yesterday, the entertainment world lost a beloved figure with the death of Harold Ramis, the writer, director, and actor behind such classic film comedies like Ghostbusters, Stripes, Groundhog Day, Caddyshack, National Lampoon’s Vacation, and many more. 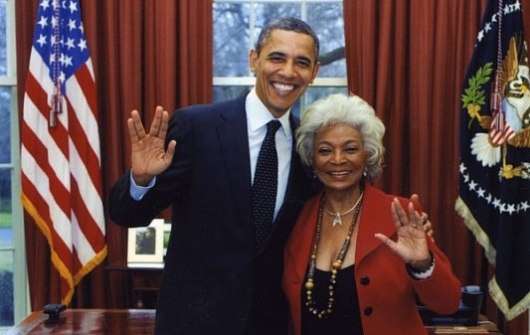 The Chicago native’s untimely passing has left a lot of people who enjoyed his many works saddened by this great loss, including the President of the United States, Barack Obama. 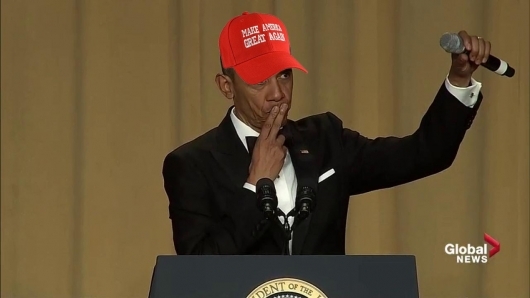 In a statement released today through the White House, President Obama, who served as an Illinois Senator before becoming President, called Ramis “one of America’s greatest satirists” and talked about the effect the actor’s work had on him and his wife, Michelle Obama. The President went on to quote Caddyshack, the 1980 comedy co-written by Ramis, referencing Bill Murray’s memorable scene about meeting the Dalai Lama and being promised “total consciousness” upon his death. 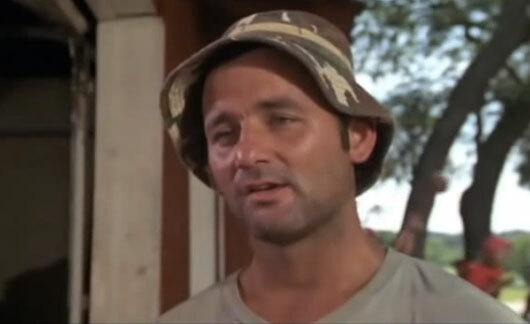 You can read President Obama’s full statement and watch Bill Murray’s Dalai Lama scene from Caddyshack here below.